We design, construct and maintain Floating Treatment Wetlands (FTW) for municipal wastewater treatment. As the first company to introduce this technology to New Zealand, we have become the industry leaders. 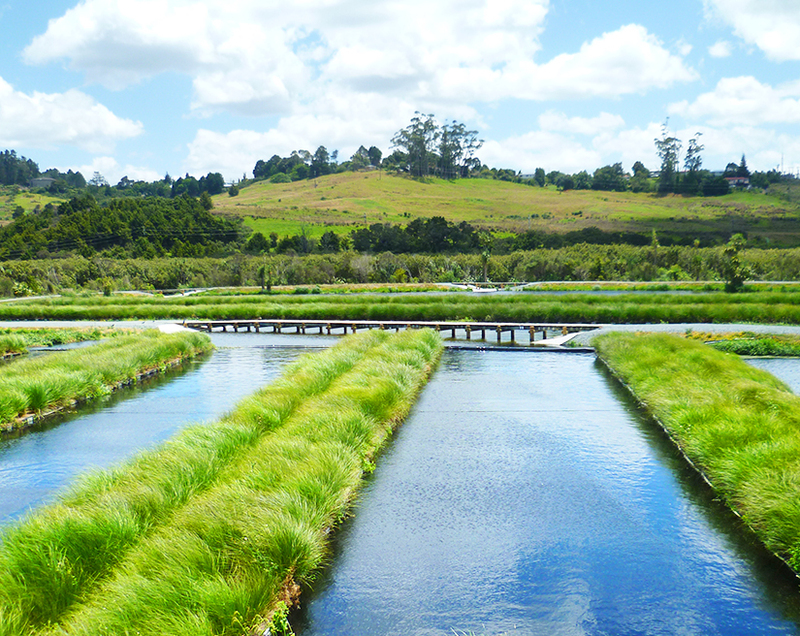 The low-tech, biological nature of Floating Treatment Wetlands makes it a true low cost option. Compared with other water treatment solutions, very little capital expenditure and up skilling is required and the floating treatment wetlands has nominal maintenance costs. 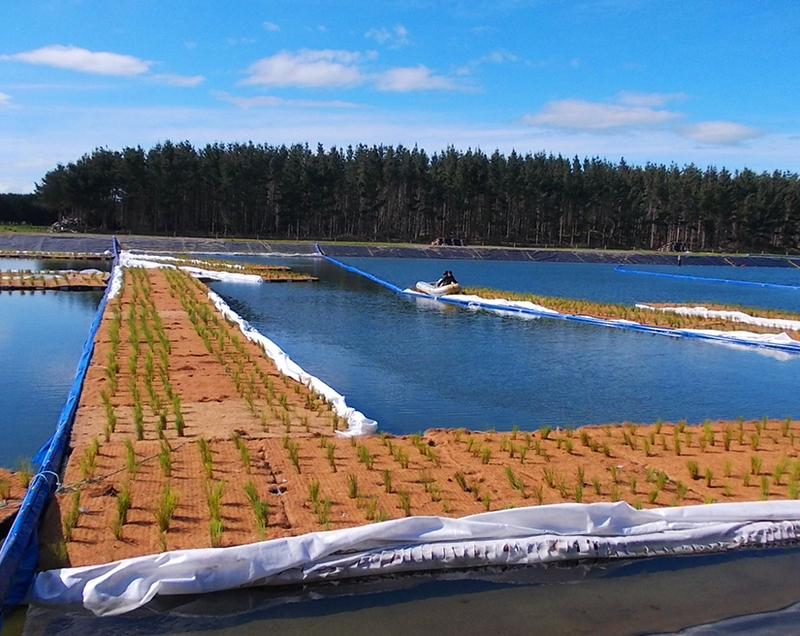 Extend the productive life of your existing asset by retrofitting Floating Treatment Wetlands. What is Floating Treatment Media? Floating Treatment Media harnesses what is an already naturally-occurring phenomenon. Here’s how it works; a base is constructed for plants to grow on. As the plants’ roots spread through the bases fibrous structure, a massive surface area below the water is created for microbes and bacteria to live – microscopic life forms that consume organic matter and nutrients in wastewater. Himatangi Beach is a popular North Island summer retreat. Its population doubles during summer. Our challenge was to design a wastewater treatment plant that copes with the population spikes without being an oversized and under-performing system for the rest of the year. We offer a complete solution for waste and stormwater treatment. 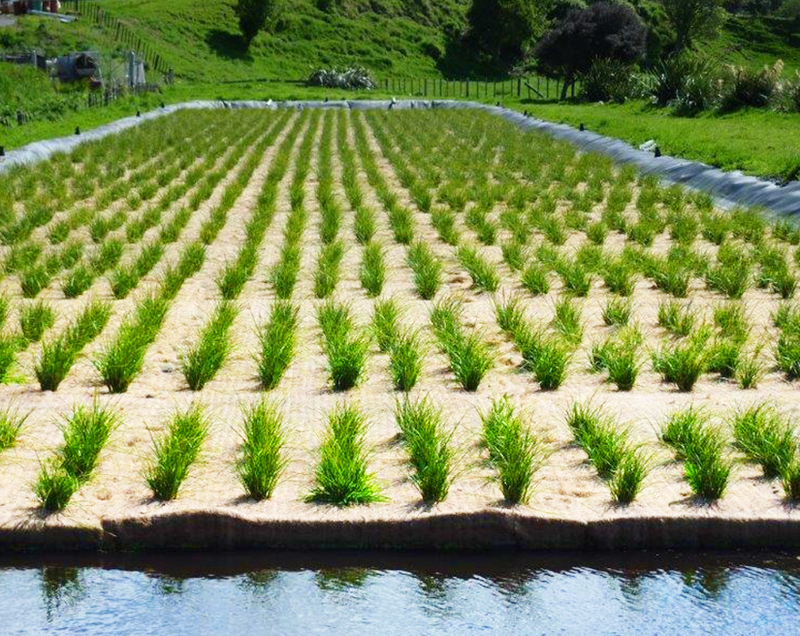 Based at Kaiwaka, north of Auckland, we are part of the Kauri Park Groups and the first company to introduce floating treatment media to New Zealand.